All HANOVER COVE homes currently listed for sale in Converse as of 04/25/2019 are shown below. You can change the search criteria at any time by pressing the 'Change Search' button below. 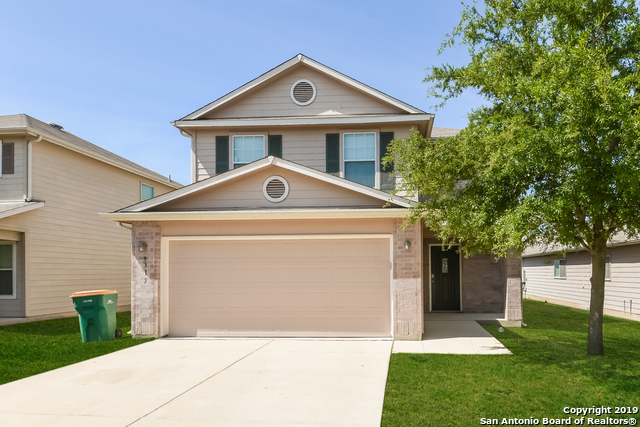 "Spacious 4 bedroom home in Converse! This beautiful home offers a Study, Three Living areas, two eating areas, large game room.. Master bedroom downstairs! Entire house has wood laminate, upgraded appliances, upgraded lighting, upgraded counter tops and backsplash. Garage is even finished out w/ epoxy. Large backyard w privacy fence, no neighbors behind. A true gem!" 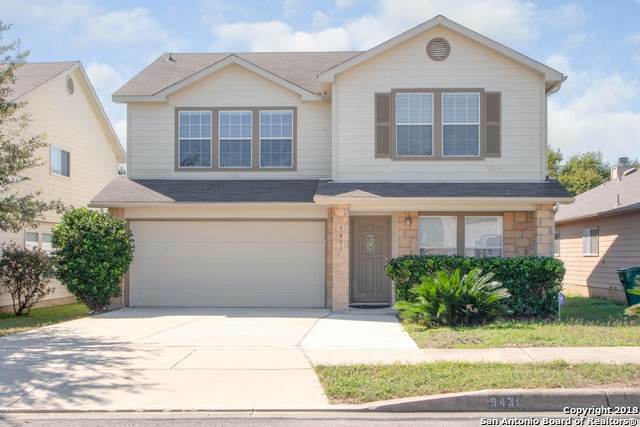 "Nice 4 bedroom, 2.5 bath open floor plan home in a great location. Master suite, which boasts a separate shower and tub as well as double vanity, is downstairs leaving 3 bedrooms an office/media room and game room upstairs. The refrigerator, washer and dryer will convey. The oven, dishwasher, washer and dryer were seldom used and are like new. The floor plan is great for entertaining, have a quiet dinner, an informal gathering or a super bowl party. Good size covered patio. Close to shopping & e"
"Built in 2014, this Converse two-story home offers a kitchen island breakfast bar, a walk-in closet in the master suite, and a two-car garage. Upgraded features include new carpet in select rooms and fresh interior paint. 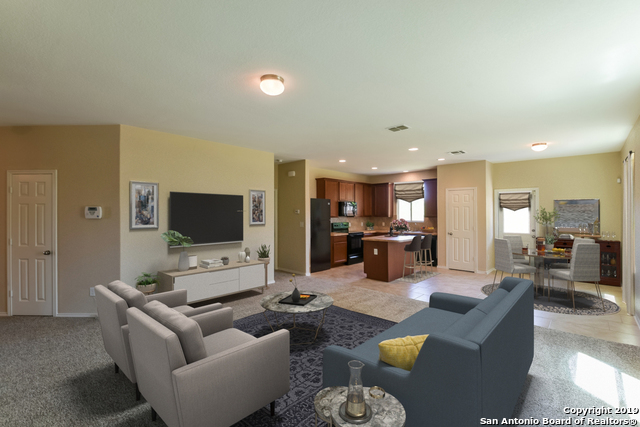 This home has been virtually staged to illustrate its potential! Thanks for viewing! Home comes with a 30-day buyback guarantee. Terms and conditions apply." "Currently Home Sits on a Greenbelt. Recent Flooring, Paint Interior and Exterior. Home is Move in Ready. Two Living Areas Down with Two Dining Areas. Upstairs features a Game-room and 4 Spacious Bedrooms. Master Suite has Separate Garden Tub, Shower, and Dual Vanity. Plumbed for Water Softener. Refrigerator Included. Covered Back Patio and Large Yard. Close To Randolph and Shopping." "OUTSTANDING Pulte floorplan 4/2.5/2 with formal dining, breakfast area, study and game room. Huge open Kitchen with island and tile back splash, upgraded cabinets that opens to family room. All bedrooms are upstairs with game room. Split bedroom set up for added privacy. Large back yard on cul-de-sac lot. 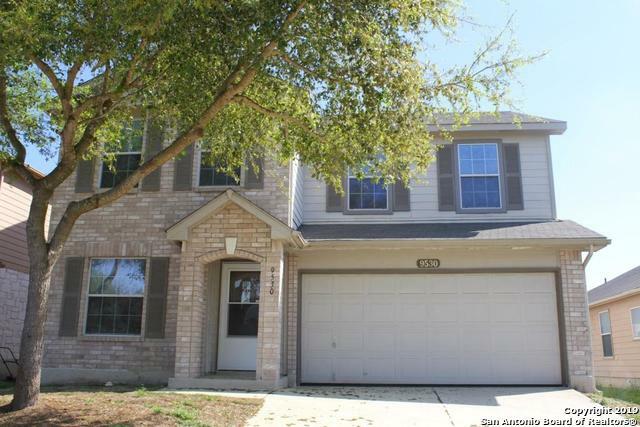 Great location just minutes from Randolph AFB, the Forum and all major highways for easy commute to all areas of SA. Brand new IKEA is located less than 10 minutes away!" 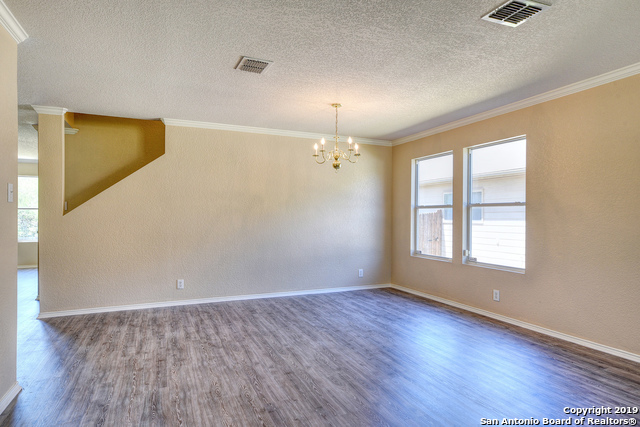 "This Converse two-story offers a loft and a two-car garage. This home comes with a 30-day buyback guarantee. Terms and conditions apply."